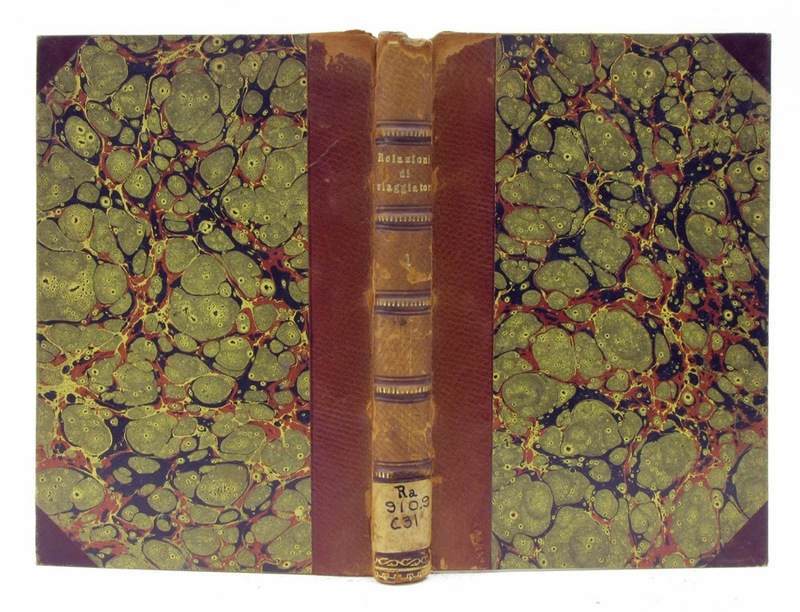 Syracuse University Libraries' Leopold v. Ranke Collection can be considered as a time-capsule of sorts in that all books were bound before 1888 when the collection came to Syracuse to form the core of the new university library, largely as a circulating collection. Exceptions are (few) volumes that were rebound by library binders and conservation rebinds/treatments completed after the conservation lab was established in 1995 by me as a part of a grant funded project. And now began the Herculean task of removal from the Royal Library, the completion of imperfect serials, the repairing of worn and damaged volumes, the binding of unbound numbers, the careful classification and binding of thousands of pamphlets, the complete cataloging of the entire collection, the examination and estimate of the more than four hundred manuscripts by a professional paleographer, etc. This work required many months of time and involved the expenditure of a very large sum of money. Additional information about the sale can be found in Morrison, John J. 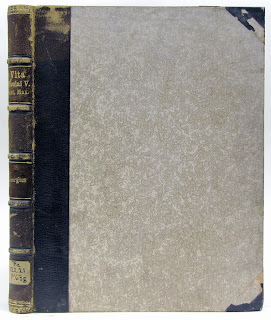 "Charles W. Bennett's 'The Purchase of the von Ranke Library.' A Prefatory Note. The Courier 15.2 and 15.3 (1978): 15-18. 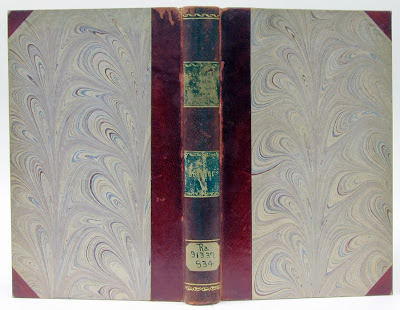 Having worked on the collection since coming to Syracuse in 1995 and knowing the variety of bindings in the collection, I decided to see whether there were any bindings identified as being bound by W. Collin, the firm started by Ernst Collin's grandfather in 1845. W(ilhelm) Collin was born 1820 in Beuthen/Bytom (PL) the son of a physician. He moved to Berlin with his family, and apprenticed with the Court Bookbinder Abraham Mossner from 1835-1840. 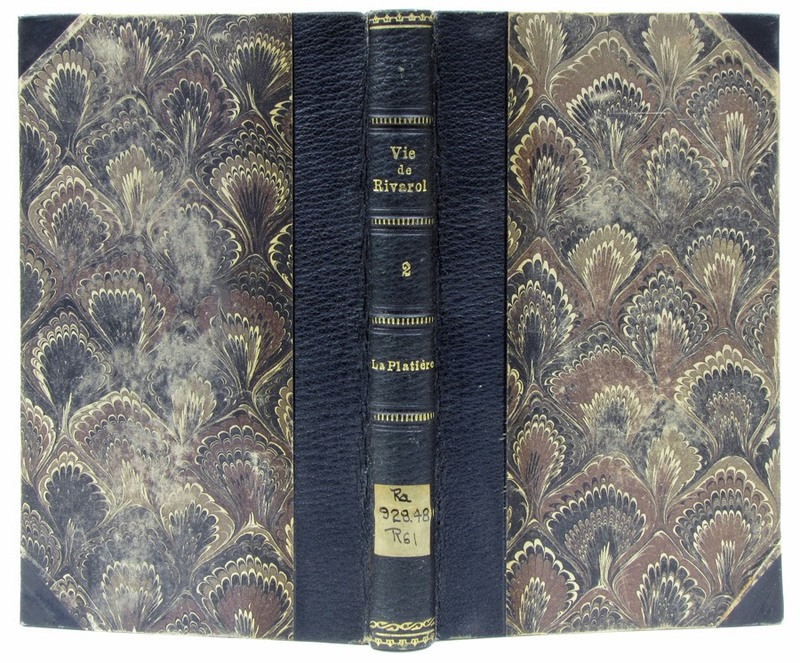 In 1859 he was named Court Bookbinder by the Princess Victoria (later Empress). As a binder, he was especially known for his fine gilding. [Dohrmann, Inken. 150 Jahre Jahre Verein Berliner Buchbindermeister. Berlin: Verein Berliner Buchbindermeister 1849, 2001: 147]. 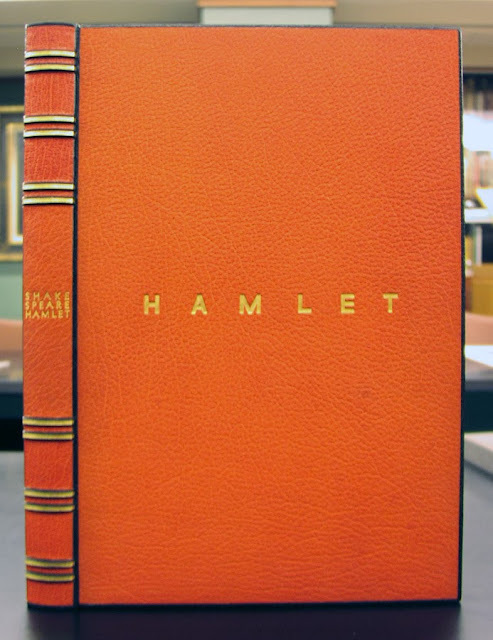 A search of Syracuse's catalog revealed 135 titles (a few being multi-volume sets) in the collection, and all in the v. Ranke Collection. This was indicated by a note that said "Binder's label: W. Collin." and 3 cases "Binder's label: W. Collin, K.K. Hofbuchbinder, Berlin." Things were starting to get interesting. Thanks to the generosity of a colleague in Special Collections I was able to go in the stacks with her, spreadsheet and pencil in hand, and in the course of 2 hours examined every binding on the list. Only two or three were rebound, and all had their binder's labels. Jackpot. So, what were the results of this survey? All binder's tickets were of the "W. Collin, K.K. Hofbuchbinder, Berlin" variety indicating that the books had been rebound between 1871 when the Kings of Prussia became the Kings of Prussia AND German Emperors (formation of a unified German Empire), and the death of Ranke when the collection was boxed for sale in 1886-1887. The "K.K. Hofbuchbinder" means "Royal and Imperial Court Bookbinder." There was more than one of those a Carl Wilhelm Vogt being another, but still. Below a scan of the binder's ticket. Click on image to see the small label at bottom left in its original size. All tickets were pasted to the verso of the front flyleaf. This date range puts the firm under the control of W. Collin and his son Georg who became co-owner with his father in 1886 after returning from his journeyman years in Vienna, Paris, Switzerland, and England, there studying with Joseph Zaehnsdorf, "one of the most well-known German binders" [Inheim, Heinrich. Georg Collin [obituary]. Archiv für buchgewerbe. v.56 (1919)]. W. Collin died in 1893. The firm was continued as W. Collin under his son Georg from 1886 until his death in 1918. 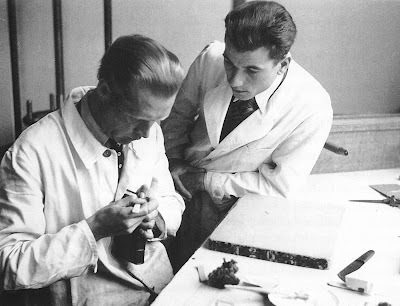 Georg's daughter Gertrud (sister of Ernst) also learned the trade, and took over the firm following her father's death. In 1930, it become a part of the firm of Paetch & Collin until liquidation by the Nazis in 1939. [Dohrmann, Inken. 150 Jahre Jahre Verein Berliner Buchbindermeister. Berlin: Verein Berliner Buchbindermeister 1849, 2001: 181]. 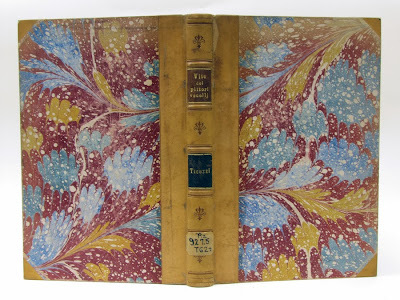 Even though the firm was W. Collin was "Court Bookbinder" and produced exquisite work for the Court, it was also a trade bindery that was involved in the binding of books for a variety of customers, from individuals (like Ranke) to libraries to publishers in all manner of techniques. There is scant mention of W Collin. 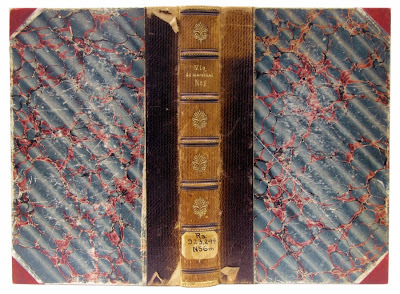 An example of a cloth case trade binding by the firm of W. Collin can be seen in the University of Wisconsin's digital collections. I have found no information about the size and scope of the firm thus far, including advertisements/images, and whether it would have been described as a "dampfbuchbinderei" is unknown. Regardless, it is unlikely either W. or Georg did much binding except for the most exclusive commissions.Dampfbuchbinderein were large industrial trade binderies (dampf = steam) described in the catalog to the 1994 exhibition Gebunden in Der Dampfbuchbinderei: Buchbinden Im Wandel Des 19. Jahrhunderts. 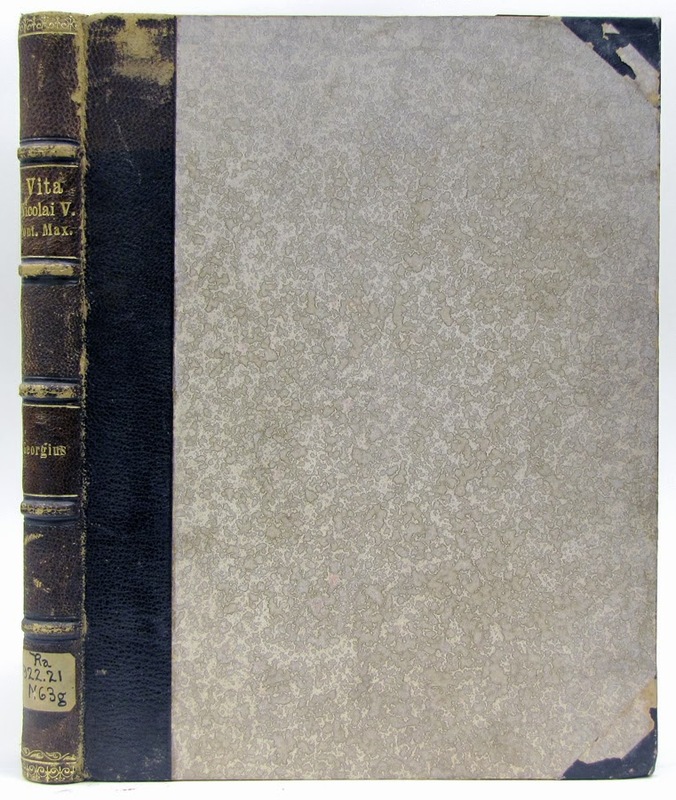 The perceived state of German bookbinding at this time was described in The Profession Of Bookselling: A Handbook Of Practical Hints For The Apprentice And Bookseller by A. Growoll, London, 1895. A snippet describing this can be seen on pg 108, and was posted to this blog in March. 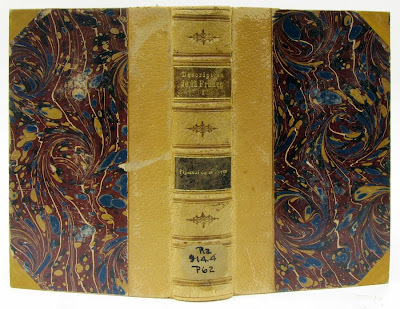 Georg Collin himself is quoted as saying in an article about the 1900 World Exposition in Paris published in the Allgemeiner Anzeiger für Buchbindereien ( v.15-16 1900-1901: 267-270) that "bookbinding has attained the highest steps in France. Unfortunately we must stand back and let this happen, because even if we have the strength, drive, and talent to create work at this level, we just don't have the clients..., Germans just won't pay what the French and other foreigners will." The article concludes by saying that in binding at the highest levels, the honors go to France and England, with Germany being the leader in publishers' bindings. 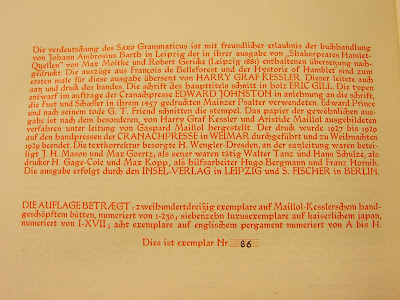 Bernhard Harms' Zur entwickelungsgeschichte der deutschen buchbinderei in der zweiten hälfte des 19. jahrhunderts. Technisch--Statistisch--Volkswirtschaftlich (Tübingen und Leipzig: Mohr, 1902) provides a great deal of statistical information about the bookbinding trade in German in the latter half of the 19th century, but unfortunately does not have any detailed information about the firm of W. Collin. Likewise, Hellmuth Helwig's Das Deutsche Buchbinder-Handwerk (Stuttgart: Hiersemann, 1961-1965). Georg went on to redefine and elevate German bookbinding in the late 19th early 20th century, created many presentation bindings and "adressen" (presentation portfolios for official declarations...), and contributed to the development of Paul Kersten, perhaps Germany's first and best known "fine binder." 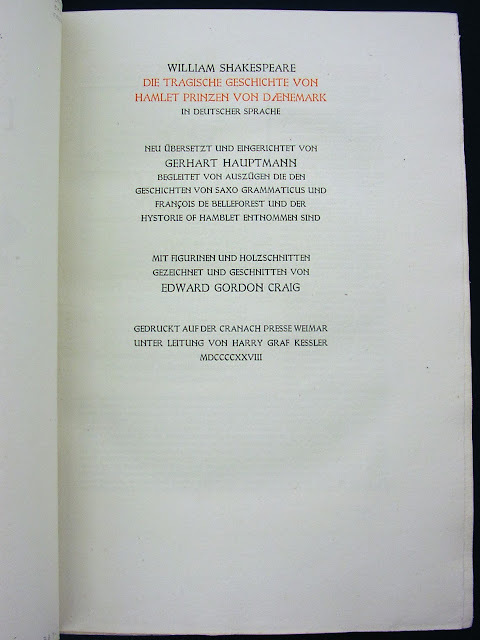 Later, Ernst Collin wrote and published a biography of Kersten as a Jakob-Krause-Bund festschrift under his Corvinus-Antiquariat imprint in 1925. 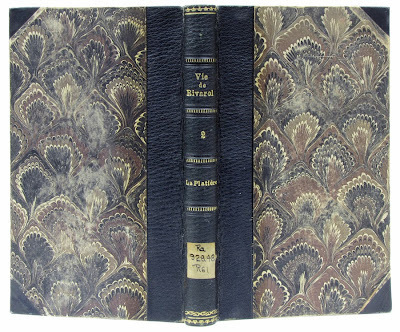 Kersten himself was a noted author of binding texts, his most noted title being Der Exakte Bucheinband first published in 1909. But back to the books at hand. So, what did these bindings look like? The imprint dates of titles in the collection that we examined ranged from the late 18th century up to 1876. Some were monographs, some selected volumes from series or serials. 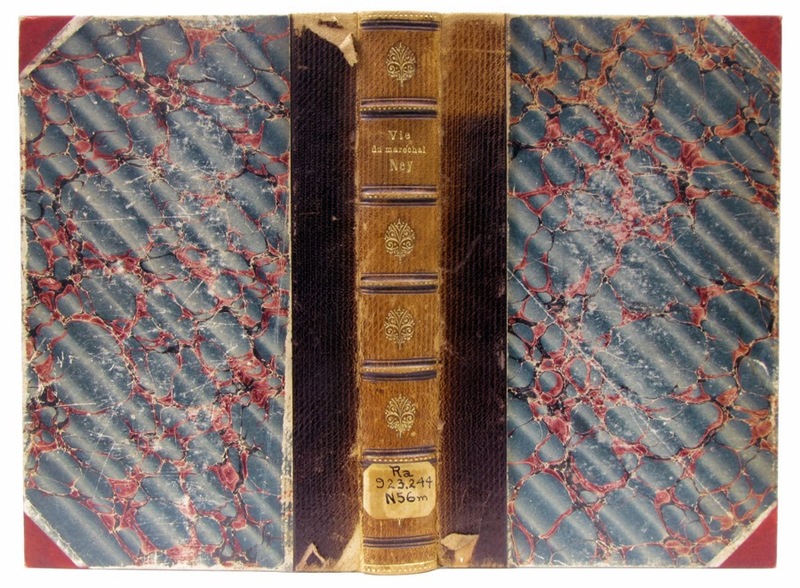 Due to condition (spines missing or damaged), we could examine the structure on some of the bindings. All were rebinds in some form. NONE were stapled, but sewings were uniformly on recessed cords, with stuck on endbands, and quarter leather case bindings featuring a variety of marbled papers on the sides sides. Leathers were goat, sheep, and calf. Endpapers were all of the same gray paper as a reinforced single folio hooked around the first and last text signature sections and then sewn. 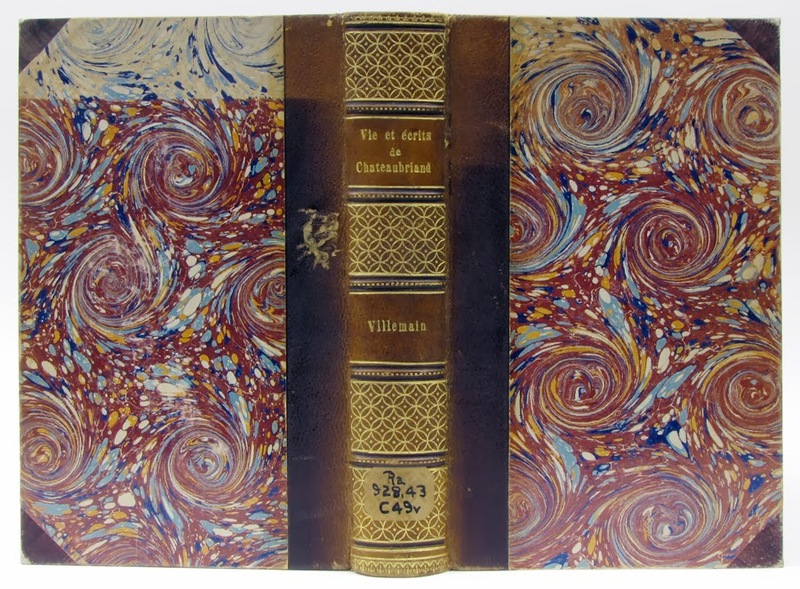 This endpaper construction and others are described in the article "Die Vorsätze im Buche," Archiv für Buchbinderei, v.13, 1913-1914. (66-71) that is preceded by an article about the firm of W. Collin, with image of Georg Collin. 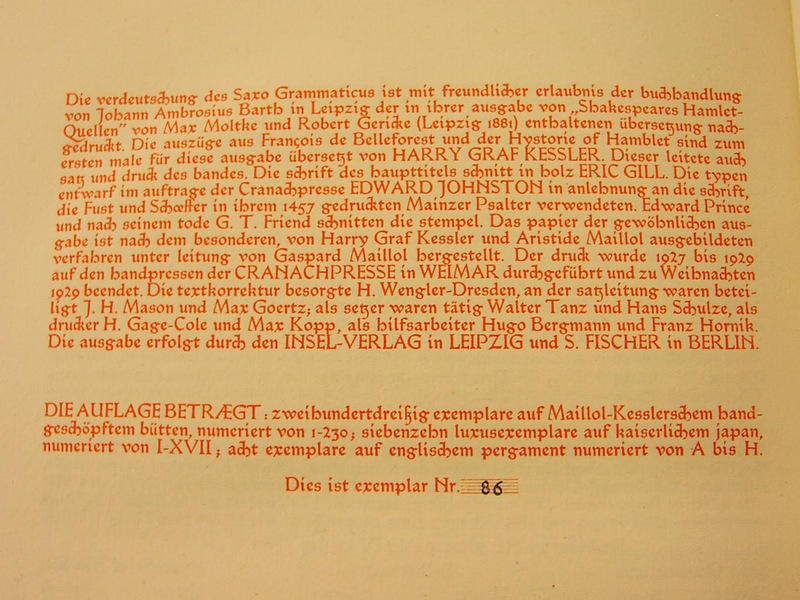 A translation of the endpaper article can be found in HathiTrust (as can Archiv für Buchbinderei...). Archiv für Buchbinderei was published by Paul Adam, and no authors are indicated for the articles, although W. Collin is listed among the contributors, many of whom were illustrious during that time. Overall I would describe these as competent trade bindings, not glamorous, not especially precise, with some interesting quirks such as in the example below. 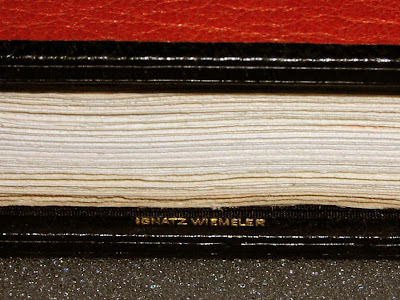 Exterior detail of the above book showing mismatched leathers on spine and corner. 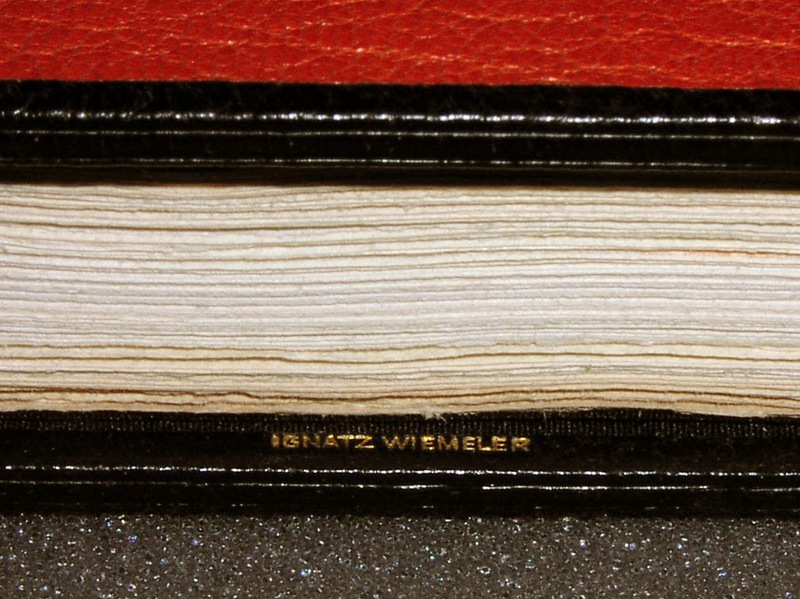 Overall binding, sheepskin with fading due to exposed spine and smaller adjacent binding. 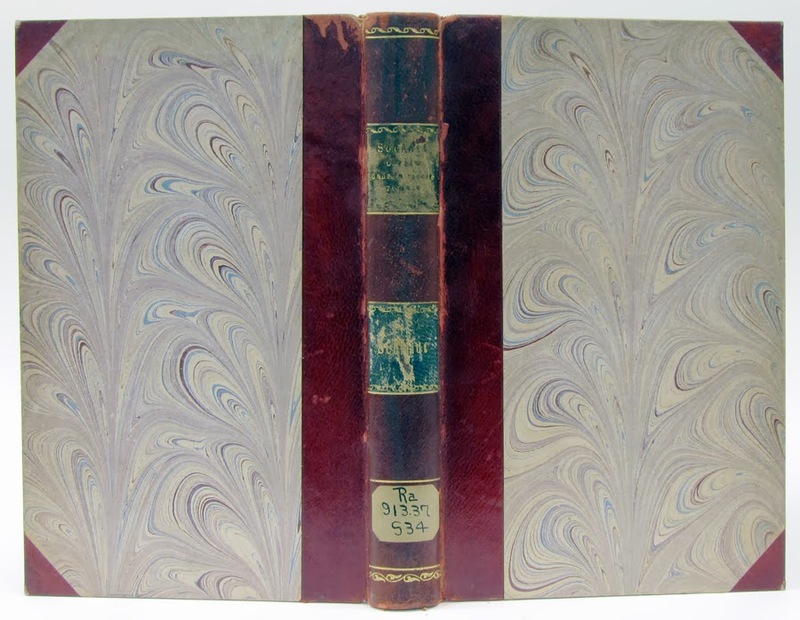 Below a selection of other representative bindings by W. Collin in the v. Ranke collection. Unfortunately no paper cases, pastepaper, vellum, or full leather... Still, great to see them all, especially knowing something about the history of the firm and people behind it. Important to remember when viewing these (and their wear) is that the v. Ranke Collection was a Syracuse's circulating collection for some time before it became a special collection. All binding images permission of: Special Collections Research Center, Syracuse University Libraries. Thank you also to Stephen Ferguson, Assistant University Librarian for Rare Books and Special Collections Curator of Rare Books at Princeton University Library for examining the W. Collin bindings in their collections. Unfortunately they had been rebound. His blog, Notabilia, is worth following. Working on Gaylord Shanilec's Mayflies of the Driftless Region for Designer Bookbinders' "Contemporary Bindings of Private Press Books" exhibition that will open in the UK and travel to venues in the US. Book is due in the UK early January, 2014. Gaylord kindly included prospecti when he sent the textblock and I bound those in at the back along with tipping in an original print (for the standard edition cover) opposite the title page. Textblock sewn on three vellum back salmon leather slips and backed towards 90 degrees at shoulder. Double-folio Johannot endpapers to go with textblock. Graphite top edge (others left untrimmed), wrapped salmon leather endband to match slips. Spine stiffener covered with salmon leather turned in at head and tail with leather very thin and wide enough to go down shoulders and onto endpaper. Cave paper flyleaves glued on at base of shoulder and on leather and at foredge for greater flexibility. 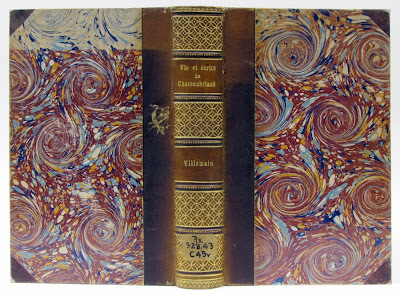 Vellum laid on top of artwork. Will show through with more clarity when vellum is pasted to boards. Structure is an open joint binding (in German, Franzband mit offenem Falz), a style that is attributed to Otto Dorfner, a contemporary of Ignatz Wiemeler who also taught at the Bauhaus and bound some of the Cranach Press works... It is also used heavily by Jean de Gonet in France [Site has some broken links, click on "reliures" for bindings]. De Gonet also had a fantastic retrospective at the BNF, amazing catalog available via amazon.fr. Sonya Sheats a binder working in the Boston area uses it beautifully as well. Erin Fletcher did a very nice multi-part interview with her on her blog. Toon Van Camp a binder in Belgium describes the structure as he learned in a workshop with Brother Edgar Claes. Anne Puls, a German binder creates beautiful designs using this technique, something I would love see her write up. Watch the design evolve as I post updates while working on the binding. Edit 11/10/13: Read part 2 here.